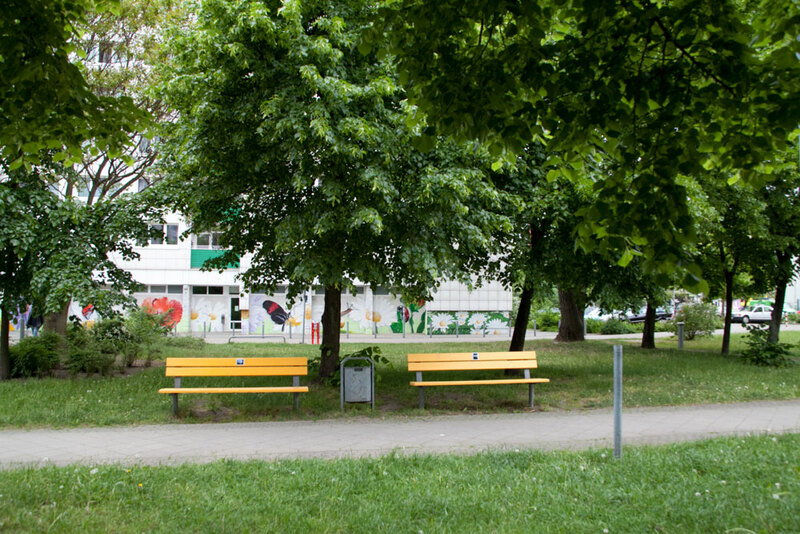 “Die Möglichkeit auf eine bessere Aussicht (The chance of a better view)” is a photo work about park benches. 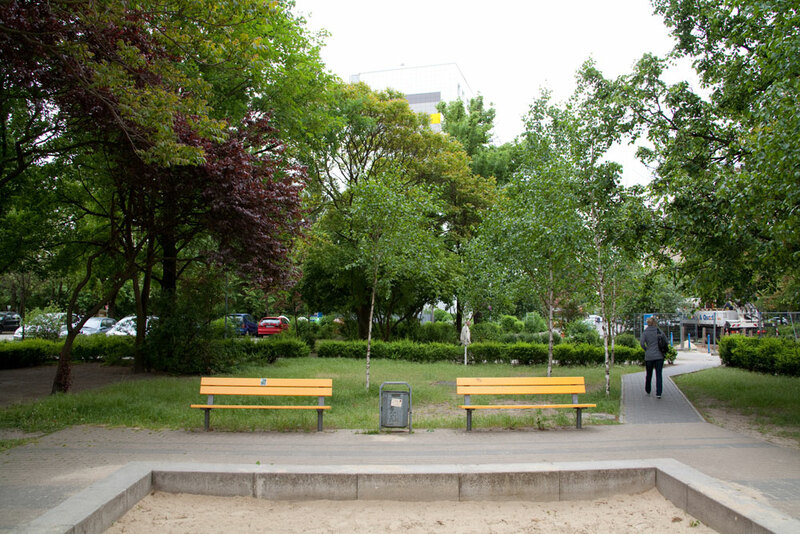 Many park benches are installed in public space at places that are not very inviting and don’t encourage people to spend time sitting on them, as these locations are often miserable and deserted. In the vicinity of such benches, I looked for an alternative, better view, captured it on Polaroid and then attached this photo to each bench. The intention was to suggest a better view that this bench could have to the people who happened to sit down on the bench. The Polaroid photos were attached in such a way that the observers could take them home if they needed a pretty view at home. The cooperation with Lichtenberg Studios allowed me to experiment artistically in new areas in a very pleasant manner. Intensive work on location with the aim of presenting works that coming weekend was a challenge in the most positive sense. The guidelines for this piece specified an organisational structure that would serve as a basis for work that was focussed, but at the same time free in its evolvement. Being able to participate in Lichtenberg Studios was an exciting and, in certain cases, also surprising and new experience. 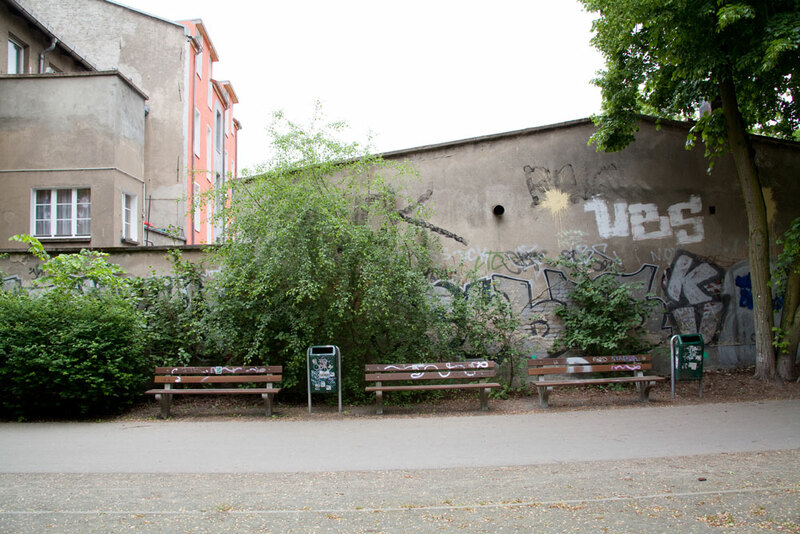 The publication of our project is also something very special, as the works of the entire group are gathered together again and presented to the residents of Lichtenberg.